Peres’ career spanned nearly 70 years. Born Szymon Perski in Wiszniew, Poland in 1923, Peres was educated in the Jewish faith by his grandfather. In 1934 his immediate family moved to Palestine, where Peres attended school and trained as a farmer and shepherd. Members of the family who remained in Poland died in the Holocaust. Peres’ political career began in 1941 when he was elected Secretary of a Labor Zionist youth movement. Three years later, he led an expedition to a military zone in the Negev desert to scout a location for a future Jewish settlement; a Bedouin camel patrol led by a British officer captured the group and and jailed them for two weeks. Israel became a state in 1948, and in 1959, Peres was elected to the Knesset (legislative branch of the Israel government) as Deputy Defense Minister. He served almost continuously in the government for the rest of his life, as Prime Minister, President of Israel, and a member of twelve cabinets. Peter Jessup interviewed Samuel Lewis in August 1998. Charles Stuart Kennedy interviewed Thomas Pickering beginning in April 2003 and William Harrop in August 1993. 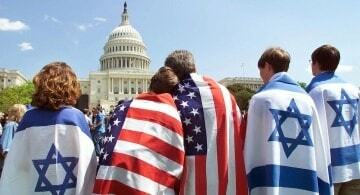 All of the former U.S. ambassadors to Israel shared their memories of this pivotal statesman. To read about the assassination of Israeli Prime Minister Yitzhak Rabin, the death of Egyptian President Anwar Sadat or the Middle East peace process, please follow the links. But they’d been going through a lot of battering over the past year and Prime Minister Rabin had been involved in an unfortunate episode where he was charged with maintaining a bank account illegally in Washington after he returned from his tour here as ambassador. It turned out to be his wife’s. But he took responsibility for it which was a violation of the currency controls that were in effect at that time. So in a rather dramatic move in the middle of the campaign, he had withdrawn from the prime ministership and from heading the party ticket. Shimon Peres had become the party’s standard bearer. Technically, Rabin couldn’t resign the prime ministership because the Israeli constitutional law was quite peculiar. During a campaign, once a new election date has been set, the candidate remains in office as head of a caretaker government. But until a new cabinet takes office, the old cabinet stays in office with full powers. The one thing it can’t do is resign and nobody in it can resign either. You should know that only a few weeks before Camp David, but after the conference had all been arranged, Peres, as leader of the opposition, had met with Sadat in Vienna, under the auspices of Chancellor [Bruno] Kreisky. Peres and Sadat had reached an understanding on a formulation of principles for peace which was much more forthcoming than anything that [Prime Minister Menachem] Begin was prepared to endorse. Peres immediately leaked this understanding as soon as he had returned to Jerusalem and had told his colleagues that if Begin could not make peace with Sadat, he just had proved that he and Sadat could reach a meeting of minds. (Peres and Begin are seen at right). The second half of 1984 saw the end of Likud monopoly on Israeli political power for the remainder of my tenure in Tel Aviv. In July 1984, there was an election; it was stalemate. After that election, neither major party could form a government without the other. So for the first time and with great difficulty, the two parties agreed to form a coalition of “National Unity” as it was called. Shimon Peres became Prime Minister. That arrangement resulted from an extremely unusual political deal. The Labor Party, I believe, had one or two seats more than the Likud, but could not muster a majority of votes in the Knesset, even with its allies. 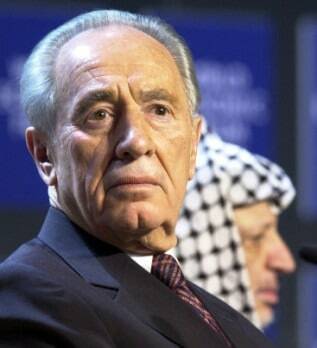 Peres was given first crack at forming a government, as leader of the largest party. When Peres finally became Prime Minister in September, in the middle of an economic crisis, my batteries recharged because we had been close personal friends for many years. I decided that it might be quite interesting to stay in Israel at least for a little while longer just to watch my good friend in action. 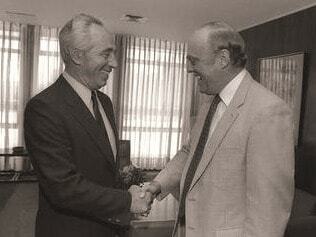 A big effort was made by Peres to open talks with the Palestinians through the Jordanians in April of ’87. It was the result of a meeting set up in London where he met the King. He had come forward with a formula for starting conversations and felt that he had sold the King on this formula. The King was a little more reticent about what it was that he had agreed to accept. Peres, in the meanwhile, was depending on my diplomacy and George Shultz’ sympathy for being able, in effect, to get the Likud to accept the deal. The U.S. had been in favor of moving in this direction. He wasn’t totally negative on the thing, but at the same time, he said obviously this is something Israel will have to make up their own minds about how to move ahead. The U.S. was not in a strong position to resolve it. My own view was, that had we come out strongly in favor of this, we possibly could have been more helpful, with both Hussein and Peres, in getting it launched. But there were problems on Hussein’s side of finding a way to speak for the Palestinians, and once there were problems on Peres’ side, it became apparent that it wasn’t going to work. Peres was trying to seek a way to break the deadlock and open the door, but he wasn’t a free agent in the National Unity Government. He was certainly in control over his side, but wasn’t on the Likud side. While Begin had been, for a while, an important player in the Israeli government, the Likud developed very strong connections with the Jewish community in the United States and internationally. You saw then quite suddenly what we had all seen, that the Labor party policy since Ben Gurion had always been, with respect to Jews from the United States, that if you want to tell us what to do, come here and make “alia” — become an immigrant and a citizen, and then you become part of the fabric of our society and you have a perfect right to tell us what to do. But, if you don’t do that and we live here, we’re not going to listen to your opinions. The second principal was basically that, if you are not here as a citizen, then we would expect that you would support and agree with what an Israeli government decides to do for the country. That was fairly easy in days when Labor ruled and there was a lot of conjunction of view, and the Israeli approach was one of seeking negotiations, even if it had all of the obvious reservations about dealing with the PLO. I told Peres the evening he handed over the Prime Ministry to Shamir that I thought that he would now see, as Likud came to power for considerable time in office, that Labor had created a Frankenstein with these two policies. They had created in the American Jewish community the absolute notion that Jerusalem knows best and that whoever in effect then runs the government of Israel had this absolute commitment of support regardless of what they decided to do. On the best of all terms, I suppose Palestinians felt it was their time to take over Jordan and made an effort in one way or another to try to do this through armed force in 1970. And [King Hussein] went after them and they lost. So there was no great friendship particularly between the leadership on both sides, but they talked and in usual Arab fashion they didn’t allow some of these issues to become huge political dividing lines in public, but behind the scenes there was always the deep feeling of animosity. 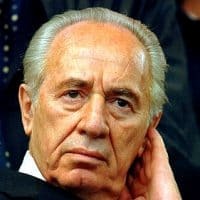 So the potential of Hussein actually coming forward and facilitating negotiation in one way or another with the Palestinians was always something on their minds, and it was something on Peres’ mind because it helped him avoid the problem of having to make the difficult decision inside Israel to deal with Arafat and the PLO directly. And then we refused to deal with Arafat and the PLO directly for a host of reasons, including the murders of American diplomats. So we had serious reasons of our own to be unhappy with the PLO and with Yasser Arafat. It took a considerable effort on the part of George Shultz and the Reagan administration to, if I could put it this way, work through that issue. That was not an easy thing to do and, of course, the Israelis themselves were constantly opposed and Shamir was there to assure it. 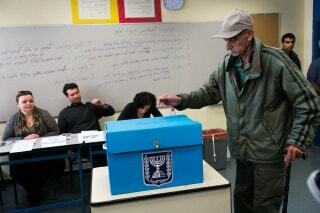 It was interesting because over the years Rabin and Peres had always contested for leadership. They always lived with daggers drawn, although when Rabin became prime minister, Peres then became foreign minister, and in terms of ideas for dealing with the peace settlement, they cooperated more in that period of time than perhaps in any other. Peres was the architect of this relationship with the PLO. Rabin saw that he had to go along with that — indeed, wanted to go along with that. 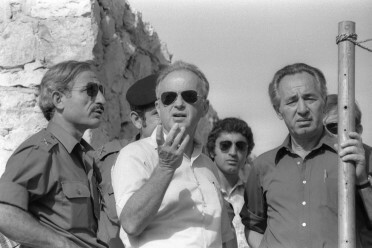 Rabin did a complete reversal of his policy toward the PLO. He recognized the PLO. He made that move. I think that he saw that the only way he was going to get the peace process going was to do that, since without an interlocuteur valable, he wasn’t going to be able to make progress. It was clear that, whatever you might think of the PLO, they were the nearest thing to a valid negotiating partner, particularly when it became increasingly apparent that Israel and the PLO had a number of common concerns. Most of the Arab governments were concerned by the threat of the Islamic fundamentalists in the Middle East. Peres told me shortly before I left [the Embassy in Tel Aviv] at the beginning of May, 1993, that there were talks going on in Norway. We knew that, I guess, but he didn’t give me the impression that he thought that they were going to “break through” any more than had a series of other, secret meetings that had been arranged in various locations between Palestinians and Israelis. All of a sudden, during the summer of 1993 that meeting [in Norway] began to acquire substance. Both teams decided that they really were going to make progress, and that’s the way it came out.